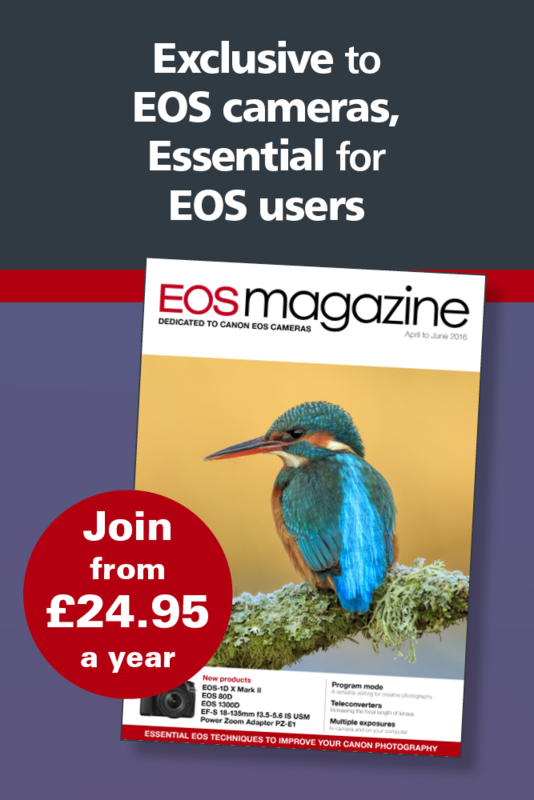 Andrew Gibson, former Technical Editor of EOS magazine, has published part II of his 'Understanding Lenses' eBook. Part I covered Canon wide-angle and kit lenses for EOS cameras. Part II looks at standard and telephoto lenses. Calumet’s Open Day events are back at stores from Edinburgh to Bristol and Belfast to London. Expert representatives from leading brands, including Canon, will be on hand to demonstrate latest products and help with photographers’ workflow challenges. There will be a variety of special ‘on the day’ offers at each venue and FREE sensor cleaning Canon bodies (photographers must have cameras with fully charged batteries). Canon has unveiled its latest EOS DSLR for serious photography enthusiasts. A similar size and weight to the EOS 60D, the EOS 6D is the world’s lightest DSLR (at 17 September 2012) to feature a full-frame CMOS sensor. The model creates a new entry point into Canon’s full-frame line-up. The EOS 6D combines full-frame imaging and low-light performance with a compact, robust and lightweight design. For the first time in any EOS model, Wi-Fi and GPS connectivity are included, empowering photographers to capture images on the move, tag them with location information and wirelessly transfer them to a computer, the cloud, or smartphones. Hot on the heels of firmware version 2 for the EOS 7D comes version 2.0.3. This incorporates the following fixes. 1. Fixes a phenomenon in which the camera stops working when the auto power off setting takes effect. 2. Fixes a phenomenon in which the maximum number of images that can be captured in a burst may be less than the actual number displayed in the viewfinder. 3. Corrects some errors in the message displayed on the LCD screen when saving RAW images developed in the camera (these errors do not appear in the Japanese and Korean language displays). The fixes listed above are corrections for the phenomena experienced with firmware version 2.0.0. These phenomena will not occur in firmware version 1.2.5 or before. Updating the camera’s firmware to version 2.0.0 / 2.0.3 from version 1.2.5 or before will incorporate many new functions into the camera. For the details of these new functions, see:firmware version 2 features.